Promotion There are 2 products. 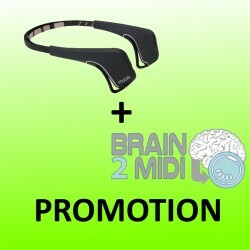 Promotion Bundle with rebate: Brain2Midi and Muse black headband! 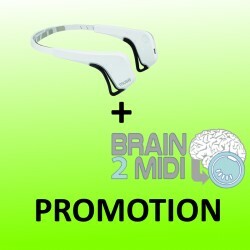 Brain2MIDI convert brainwaves into MIDI signals. Apply filters and algorithms to the frequencies and generate MIDI to control your favourite music production software, synthesizer or visual effects software. See requirements below.